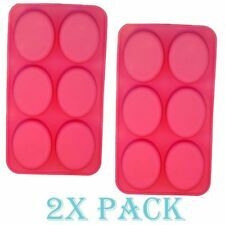 Silicone trays are perfect for Jello, Ice cubes, soap, baking, candy molding and chocolate molding. silicone has shown that it is particularly suitable for baking small/individual cakes and those that are quite delicate in nature (such as flourless cakes) as the flexibility of the pans allows you to easily 'push' the cake out or peel the silicone away once they are baked. Non-toxic & harmless, with clear texture. Our mold is versatile, and you can make cake, bread, mousse, jelly, conditioning food, chocolate, handmade soap and so on. It is advised to fill 70% of cake liquid in the cavity, because the cake will be inflated! Suitable for making cakes, pizza, bread, mousse, jelly, prepared foods, chocolate, pudding, fruit etc. 1 x Silicone Mold. Material: Silicone. Made of silicone, very soft. Color: random color. Can withstand temperatures as high as -40℃~230℃. 1 x Straight Soap Cutter. Compared with ordinary kitchen cutter:cut edge is smooth, not easy to cut slantingly. Used to cut soap orvegetable or waxor cake tidily. Firm wooden handle, convenient to use. 1 x Soap Silicone Cake Mold. Shape: Rectangle. Single hole soap amount 100g. Material: Silicone. Single Hole Size: Approx.8x5.5x2.4cm. We will do our best to reduce the risk of duties. Color: Random Color. Suitable to make a nice shellfish shape soap. 8 different shapes for you to make a soap. 1 x Silicone Mold. Material: Silicone. Made of silicone, very soft. We will do our best to reduce the risk of duties. Rose Shaped DIY HANDMADE SOAP MOLD. Include 1 rose soap mold(at random color). 3D Rose shaped design, made of high quality silicone. make your own soap. Mold Color: random colors (blue / green / purple). Lily Flower Shaped DIY HANDMADE SOAP MOLD. Note: soap not included. 3D Flower shaped design, made of high quality silicone. Material: Silicone. Color: red, green, yellow, pink (at random color). Can withstand temperature range: - 40 ~ 230 ℃. Perfect for making natural handmade soap, chocolate, salt carving, jelly pudding,etc. Natural wood, no distortion, no mildew, smooth. Capacity: 1 kg soap, 2.2 lbs. Material: Silicone Wood. Flexible yet easy to maintaining shape in long run. 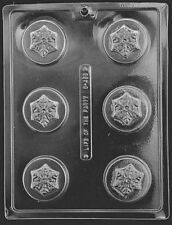 1 x Soap Mold. Material: silicone. Made of silicone, very soft and flexible. We will do our best to reduce the risk of duties. Random Color. Can withstand temperature range: - 40 ~ 230 ℃. Easy to demould. Larger and more practical. High quality: silicone material resistant temperature: -40 °C -230 °C, safe in microwave, oven, dishwasher and refrigerator. In addition, you can use it to make ice cubes, jellies, cakes, chocolates, etc. 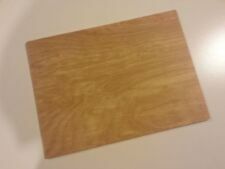 1pc x Wooden Beveler Planer. 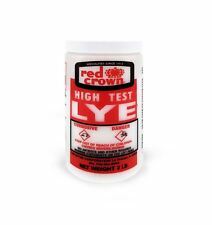 Can be used to take those sharp, rough edges off of your soap or candles and leave a smooth finish. Color: wooden. The item is made of natural wood material, so the color and grain of every wooden item is different from the picture showed. OWL DIY HANDMADE SOAP MOLD. 3D Owl design, made of high quality silicone. make your own soap. Material: Silicone. Color: Pink. For making handmade soap, cake etc. 1 x Silicone Mold. Mold Size: approx. 205 185 35mm. Material: Silicone. Made of silicone, very soft. Color: random color. US location! 1 x Soap Mold. The images are for reference only. Hemp Soap Marijuana Pot Leaf Mold for Soap or Chocolate Mold 031 (3 cavity Mold). All molds are suitable for Chocolate, Soap Making, Butter Molding, and Ice Cubes! Cleaning Instructions: wash in warm soapy water (do not put in dishwasher), and they will last for years! Lily Flower Shaped DIY HANDMADE SOAP MOLD. Include 1 soap mold at random color. Note: soap not included. 3D Flower shaped design, made of high quality silicone. Material: Silicone. Color: purple, green, blue, pink (at random color). This silicone mold does a great job of transferring the sweet honey bee and comb pattern to soap, candle and baking projects. Made of 100% FDA food-grade silicon and can handle temperatures from well below freezing to ~440F. Suitable for handmade soap, candle etc. 1 x Silicone Mold. Material: Silicone. Made of silicone, very soft. We will do our best to reduce the risk of duties. Color: random color. 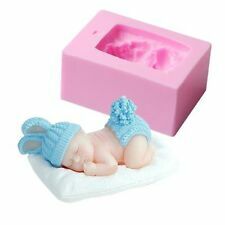 1 X Soap Mold. Material: Silicone. hope you can understanding, will be sincerely appreciated. No exception. ✸GREAT COMPLETE TOOL KIT for beginner :This silicon mold kit is the only way to go which include the silicone mold (L x W x H):10"x3"x2.7",wood box (L x W x H):11"x3.5"x3.2", Cutter (L x W ) 6" x 4.4",Wavy Cutter(L x W ) 7.3" x 4.8". Butterfly, Rabbit, Bear shaped. DIY HANDMADE SOAP MOLD. 3D Butterfly Rabbit Bear shaped design, made of high quality silicone. Include 1 soap mold. make your own soap. Material: Silicone. Color: Green. Rectangular Silicone Loaf Soap Mold. Included 1 loaf soap mold. 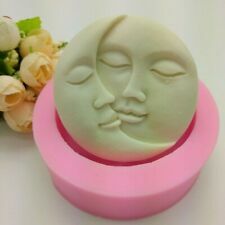 HANDMADE SOAP MOLD. Soap cavity. Durable food grade silicone. Flexible yet easy to maintaining shape in long run. Can withstand temperature range: - 40 ~ 230 ℃. Perfect for making soap, cakes, chocolate, candy, jello baking etc. Item type: Silicon Mold. 1 Silicon Mold. Material: silicone. Single hole size: 7.8x6x2.5cm. Detail Image. Quality is the first with best service. Wash before the first use. Use the soft sponge or soft cloth to clean. Do not use hard objects to avoid scratching and damaging the mold. Mold Material: Silicone. Soap Size: 9.5 3.7 6cm. Perfect for handmade soap, candle,clay or any crafts. 1 x Silicone Mold(the candle is not included). Finished soap size: approx. 40 40 38mm. Shaped: flower ball. Mold size: approx. 111 53 45mm. Do not suggest to make food by this mold. For making handmade soap, candle, resin and other craft art. 1 x Silicone Mold. Mold Size: approx. 95 75 40mm. Material: Food Grade Silicone. Made of silicone, very soft. Durable in use. EASTER BUNNY BASKET GLYCERIN. Fun, cute and perfect as an Easter gift or Easter Decorations. SOAP BAR HANDMADE ALL NATURAL. This soap is available in one color white and pink. Ingredients: White base soap, Fragrance oil,(Aloha), almond oil, mica. Type: Six - Rectangle. Six - Rectangle: approx. 225 205 30mm. Used to make hand-made soap. 1 x Silicone Mold. Made of silicone, very soft. Can withstand temperature range: - 40 ~ 220 ℃. 1 x Straight Soap Cutter. Material:Stainless steel Hardwood. Compared with ordinary kitchen cutter:cut edge is smooth, not easy to cut slantingly. Used to cut soap orvegetable or waxor cake tidily. Quantity:4 Soap Molds. Gently hold the soap mold with your hand so that the soapy water can flow in. Pour a small amount of soap into the mold until the pattern can be covered. Finally, fill the remaining space of soap mold. Marijuana leaf silicone soap mold. Only used once! Currently out of stock at the manufacterer level. Food safe and BPA free. For a variety of use, such as making hand soap, cake, bread, mousse, jelly, chocolate, pudding, fruit pie and so on. Material: 100% silicone, FDA Approved. BPA, PVC, and phthalate free. Heat capacity of -104℉ to 446℉(-40℃ to 230℃). Include 1 Chrysanthemum soap mold. 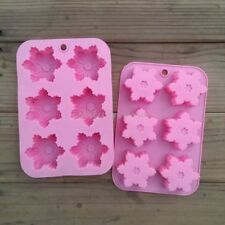 Flower Shaped DIY HANDMADE SOAP MOLD. Note: soap not included . make your own soap. 3D Flower shaped design, made of high quality silicone. Material: Silicone. Color : maroon. Can be used to take those sharp, rough edges off of your soap or candles and leave a smooth finish. Color: Wooden. Due to the natural wood material made, the color and grain of every wooden item is different from the picture showed.